Should the Orange Be Concerned About Tommy DeVito? It was another game, another win for the Orange on Saturday, but within the positive may lie a degree of concern. 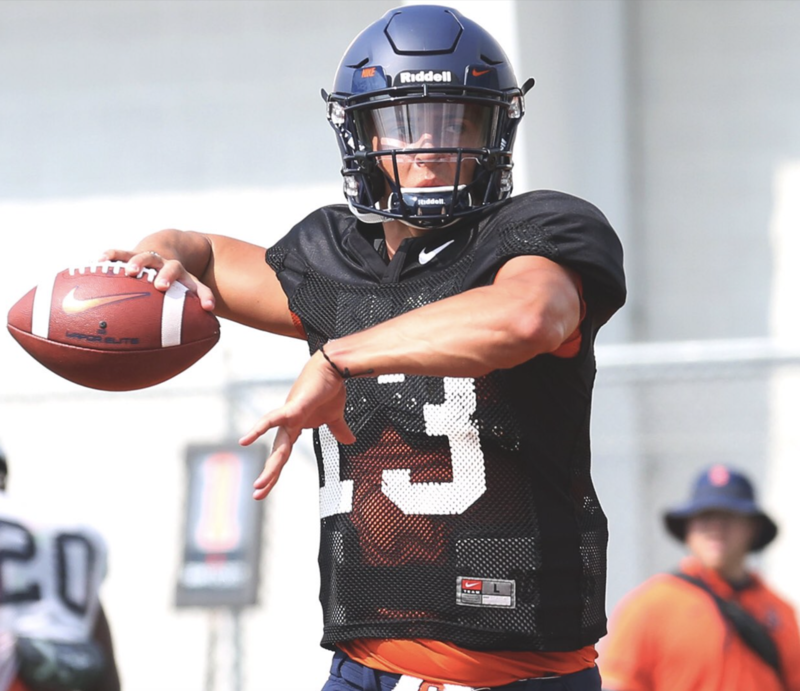 Quarterback Tommy DeVito struggled again, and it wouldn’t be surprising if his one-completion outing has Dino Babers slightly unsettled. Wagner wasn’t meant to pose a challenge and they didn’t. SU won 62-10 and starter Eric Dungey threw five touchdown passes. This makes it all the more puzzling that DeVito carved essentially no damage into a garbage time Seahawks defense. Right after Dungey dominated, the hope was obviously to see the same (or anything remotely similar) from DeVito, who is viewed as the program’s future. However, that wasn’t the case, and now the Don Bosco Prep product carries a 35.7 completion percentage and 65 passing yards through two games of action. Questions about DeVito’s play can be asked when the quality of SU’s opponents thus far are considered. The schedule is about to get tougher, which could mean less DeVito, but that is no guarantee. Dungey runs the ball quite a bit, which puts him at great risk for injury play after play. Last year, he received beatings all season and ultimately missed the last three games with a broken foot. Because DeVito is the next guy up this year, the Orange was hoping for far smoother showings than the ones it has seen. All told, with time to improve, no one should be freaking out just yet about DeVito. However, with SU’s future plans in mind, one may still feel a bit concerned. Not to say he won’t turn things around, but through two games, DeVito has simply not met expectations. Moving forward, the redshirt freshman will get his work in and presumably improve. How much he improves and ultimately bounces back will only be observed with time. Hopefully, for the health sake of Dungey, that time doesn’t come until next season.